West Orange - Stark High School held the Finals of the WOS Stark Contest in Reading and Declamation March 20. Essence Landry placed first in declamation; and, Ja'Coven Hinson placed second. In Interpretive Readings, Manuel Franklin placed first. Baylee Kibodeaux placed second. Also competing in the finals: Patricia La Fleur, Chattoria Wade, Jasmine Smith, Shamyra Sutton, Adrianna Johnson, and Kaela Foward. 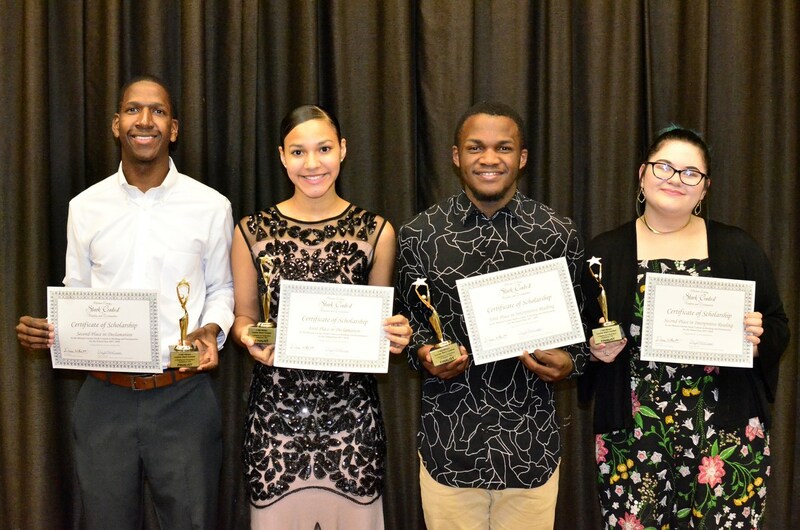 First place winners earned a $2000 scholarship and advance to the County Finals which will be held Sunday, April 29. Second place winners earned a $1500 scholarship.